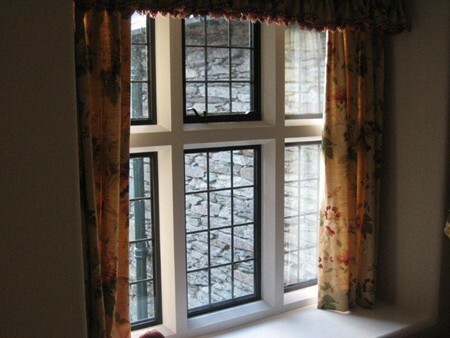 In this example we designed and manufactured a replacement hard wood window with metal bronze casements and modern double glazed glass to replace an old timber framed window with drafty metal casements. Here you can see the results from both the outside and inside. Stephen Dixon Joinery Limited has been delivering high quality joinery solutions across Cumbria and the Lake District for over 11 years. Below you will find some recent examples of our work, as well as some testimonials from recent clients. If you would like more information on any of our joinery services or to see more examples of our work please contact us. 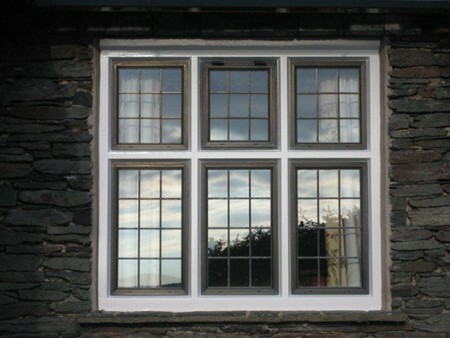 For this client we manufactured a new hard wood double glazed bay window which was fitted underneath the original slated roof. 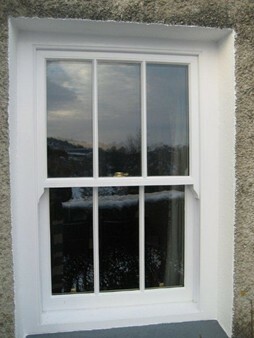 To the left is an example of a modern version of a traditional sliding sash window. 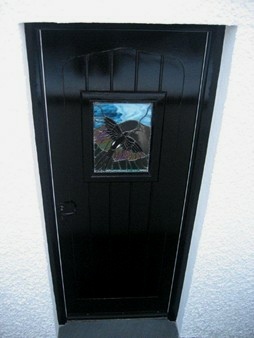 These have double glazing lead weights and plant-on glazing bars. For this particular client we removed plastic PVC windows and replaced then with a sliding sash to give back the cottage its traditional look, but with all the modern benefits of double glazing and increased security. 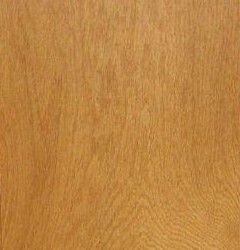 To the left is an example of a replacement hard wood door and casing handcrafted to match the existing rotten one. We were also able to reuse the expensive leaded glass. If you would like more information on any of our joinery services or to see more examples of our work please contact us. “Stephen Dixon recently did all the joinery work on our house renovation. He co-operated with all our specifications and ensured working with the other tradesmen ran smoothly. 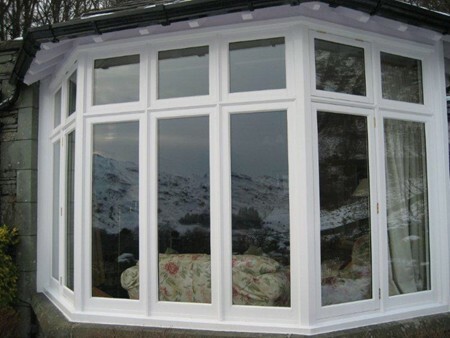 “We have used Stephen Dixon Joinery extensively over the last 10 years while refurbishing our bed & breakfast in Grasmere. During that time we have always found Stephen's work to be first class and his attention to detail has been very much appreciated. Stephen is a creative craftsman who enjoys his work and not only does an excellent job but comes up with great ideas.